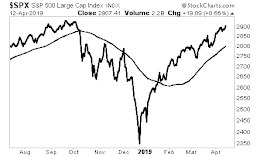 Consumer sentiment moves in waves. When the University of Michigan Consumer Sentiment Index made its debut in 1961, JFK was president and Americans felt good about the economy. Ten years later Camelot was finished, the U.S. was fighting an unwinnable war in Vietnam, and American optimism had flipped polarity into a state of extreme pessimism. 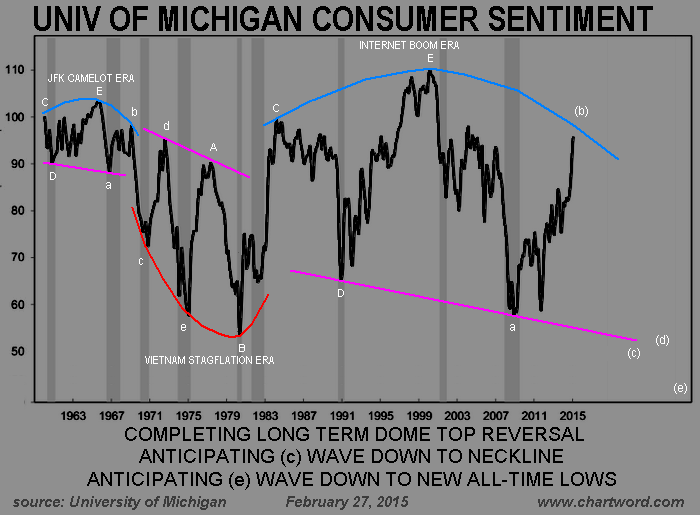 By the early 1980's the long term consumer sentiment wave had turned up again. Insecurity caused by the permanent disappearance of high-paying manufacturing jobs was more than offset by cheaper interest rates which enabled consumers to go on a massive borrowing and spending spree. Consumer confidence surged to new all-time highs during the late 1990's when personal computers, cell phones and the internet became mass-market items.